We believe that IT strategy is business strategy. We work with businesses to achieve responsible growth built on a solid IT foundation. From ongoing managed services to one-off engagements, we create bespoke solutions to accommodate all of our clients needs. This includes proactive maintenance, remote support, and strategic advice. Is your organization's data protected? Explore how disaster recovery strategy can maximize your business continuity and minimize your risk for data loss. If your organization feels like it is not properly leveraging technology, let our experts take an in-depth look at all aspects of your technology strategy and how it fits into your long term vision. Explore cost-effective options for optimizing your organization's voice systems. We help companies identify security vulnerabilities in their infrastructure and devise plans to avoid them. Through in-depth security trainings, we also educate you and your employees on how to keep your company's data secure. 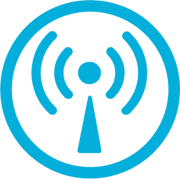 Whether you are having general connectivity issues or you are experiencing dead zones, let one of our experienced engineers perform a site survey and help you optimally place your access points or reconfigure your network appliances. Critical to the ongoing success of our clients, our managed services offerings ensure 24x7 monitoring and remediation of all of your workstations and servers. Using tools that have been developed and refined over several years, our minimally invasive software can notify us to a host of critical alerts that could adversely affect your company's operations. From network uptime, hardware health, warranty monitoring, backup execution, disaster recovery strategies, to updates and patching, our monitoring services are meant to ensure that you can focus on what you do and never worry about your technology's health. Our managed services clients enjoy the flexibility of both priority on-site and remote services for issues that cannot be resolved by our software. Contact us today for a free consultation and find out how managed services can help your company. Whether your company has an in-house IT person or just needs a bit of help, we can work with you to achieve short term strategic priorities or simply help get some new computers set up. We have helped countless clients with large scale projects like network overhauls and deployment, office moves, or with the set up of cost-efficient VoIP services. Get in touch with us for a free consultation to see how one of AD.visory's experts can help your organization move forward. Our team of experienced technology experts can help you build a scalable and robust IT infrastructure to meet your long term organizational goals. The term "lean IT" has become ubiquitous throughout most organizations yet its implementation has not matched its buzz. We have helped numerous private, non-profit, and academic institutions rethink how they implement technology and our audits lay out an easy to follow strategy for achieving those goals. • An in-depth final report comprising of observations and recommendations that will help guide short and medium term strategy. Get in touch with us for a free consultation and see how an technology audit can work for your organization. As more companies employ cloud strategies in their overall IT infrastructure, the number of threats and intrusions increase. The best partner to a strong backup and redundancy strategy is a proactive security strategy. Our technicians help identify weaknesses in your infrastructure, design easy to use strategies to employ and conduct employee trainings to ensure that no one falls victim to scams that can compromise your data integrity. Whether you are looking to simply assess the strength of your firewall or you want to conduct an internal phishing test to assess the preparedness of your users, we can help you every step of the way.